This charming farmhouse is on the outskirts of the quiet Friesian village of Molkwerum. The farmhouse is full of atmosphere. The village is between the picturesque, historic harbour towns of Stavoren and Hindeloopen. It is on the famous 'Eleven Cities Skating Route'. The village is surrounded by canals, small waterways, lakes and the Ijsselmeer. 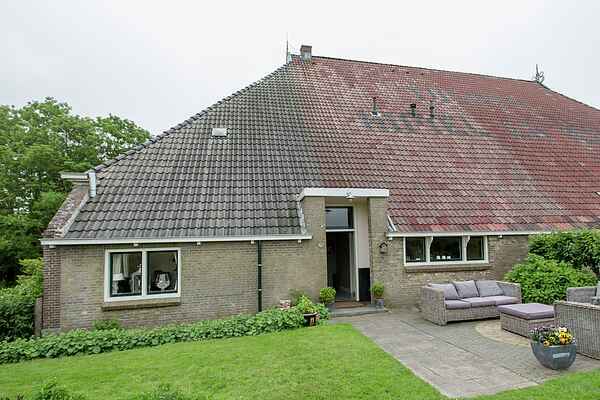 You can enjoy an excellent view of the Ijsselmeer Dyke and its beautiful sunsets from the house. There is a child-friendly beach with delightful views just 500 metres away. There is a church, an Elvis Presley Museum and a Baker's Museum with objects from times past in the village. You can enjoy a genuine, delicious Molkwarder Koeke biscuit in the museum.